Welcome to Fairchild Junction. Fictional in geography, but real enough in the hearts of my family. A place where the dreams of boys, both young and old are realized, and the passionate seed that is a forever love of trains is cultivated and nurtured. If there exists true magic in this world, a small piece of it resides in our home, 88 inches off the floor. 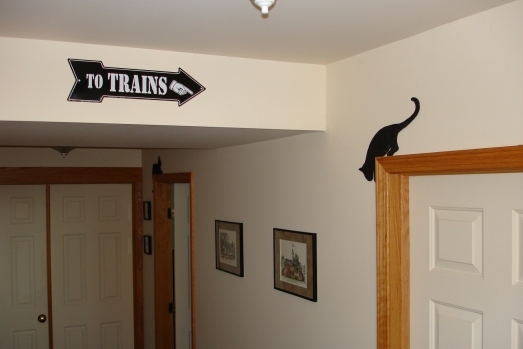 The layout, a ceiling train as they are called, is a project that began while staying at home to help Devin get acclimated to his new life in this world. 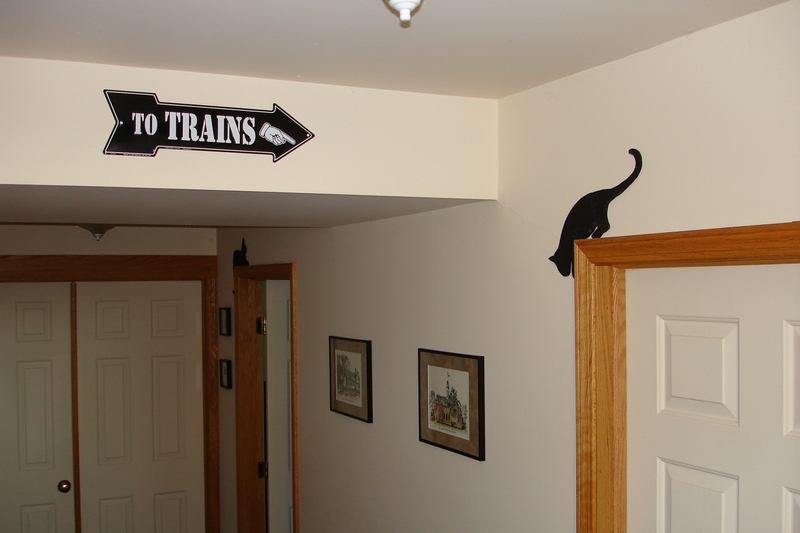 I had been wanting to do something like this for...well forever, and seeing as I did not have a room I wanted to commit to a full O-scale layout (yet), this was a great compromise, plus a nice gift for my boys in their playroom. Sure I have to put up with "Daddy, you need to start your trains!" quite often, but it's worth it. The main feature of any train layout is of course, the trains themselves, and the heart of any train is the engine. You can learn more about ours by clicking on an engine below. Diesel vs. steam you ask? No such conflict exists here. Both are welcome, and each type is cherished for many different reasons that you will learn if you hang around here long enough.